Board games are one of the most enduring activities that people of all ages love to play especially as a group, whether as a family or in the company of acquaintances or friends. But for kids, the benefits of board games for them can be simply innumerable. From their cognitive development to the enhancement of their emotional and social relationships, board games are an excellent activity for kids to enjoy and benefit from. Here are some of the most common benefits of board games for kids. Encourages strategic and critical thinking. The majority of board games require the use of strategies wherein players will have to look at the bigger picture to anticipate the future moves of other players. This often requires critical thinking or the consideration of every single factor that can affect the outcome of the game. While kids don’t have very sophisticated strategic and critical thinking skills yet, playing these kinds of games can help sharpen their abilities to strategize. This can lay the foundation for the development and enhancement of more complex problem-solving processes such as divergent thinking. When kids operate on the divergent mode, they are essentially looking into the future to make more or less accurate predictions of possible outcomes for every action that they will take. There are certain board games that require lightning-quick reflexes. 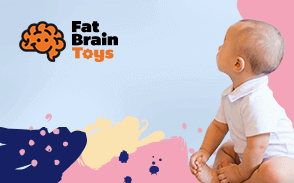 While this definitely operates within the realm of physical development, it can have significant implications in the cognitive development of children. Because reflexes are inherently tied to the health of the nervous system and that one of the main functions of the nervous system is in the development and management of cognitive processes, training one’s reflexes can help ensure the speedier transmission of electrical impulses across the nervous system. This also means that children will be able to integrate and process a variety of information a lot better and faster because of the improved neural networks. Only a few board games are played solo with a great majority enjoyed by at least two individuals. Some board games require cooperation and teamwork. To help achieve the objectives of the game, children must be able to establish a working relationship with their teammates. They must be able to communicate exceptionally well. This forms the foundation of healthy social relationships. Inspires the use of cognitive processes. We have already tackled the impact of board games on the development of critical and strategic thinking. However, these are not the only cognitive processes that are eventually developed or enhanced. Many board games require memorization, pattern recognition, prediction, and a whole lot more. Studies show that the parts of the brain that benefit the most from playing board games are the prefrontal cortex and the hippocampus, both of which are implicated in many complex cognitive processes including memory formation and complex thought. Engaging in board games can help strengthen the neural connections in the brain, enabling kids to make very efficient cognitive processes. In any game there will always be winners and there will be losers. Children playing board games will have to learn to accept defeat gracefully and as part of the game. Winning can also bring a sense of satisfaction on their part and this can have a tremendous impact on their confidence levels. Both winning and losing will, hopefully, lead to the formation of a healthier self-concept and a more positive self-esteem. Board games are an excellent way to help kids grow and develop optimally. Depending on the type of board game we choose for them, they can benefit physically, cognitively, mentally, socially, and emotionally.